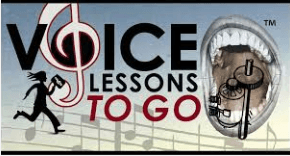 It is important to do singing vocalizes to train your singing voice. It builds up your stamina and increases your range and vocal control. We know that. But even further, doing regular singing Vocalizes protects your singing voice from your everyday speaking voice because it sets it in the right place for use no matter how it is used. Remember singing and speaking come from the same vocal chords. If you don't vocalize you tend to speak in a lower spot in the voice "sitting on the vocal chords" and often "pressing down" on them, or speaking with a "vocal fry". Do this over a loud club environment to be heard by your friends or over a large group of children to be heard and you can cause vocal damage by not engaging the proper abdominal muscles to take over supporting your sound. The result will be a tired over-used voice that will require vocal recovery. 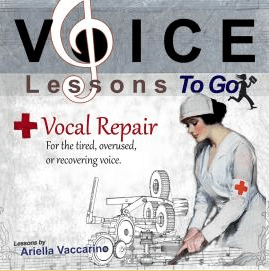 I find personally, when I am vocalizing regularly at the beginning of my day my voice both in speaking and singing are set and each day my voice sets and warms faster until I almost don't need to warm-up to get in a good singing spot. 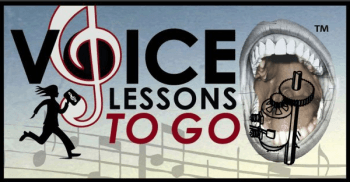 Vocalizing can do a few different things, it can be used just to warm-up so that you are ready to sing and it can train so that you increase your vocal abilities. Think of stretching your body as opposed to doing sit-ups, they both make you a better athlete but are used for different purposes. If you haven't sung in a few days but have spent a lot of time on the phone, or speaking out you could be damaging your precious singing voice. Do yourself a favor. Warm-up every morning. Just try it. Start with yawn-sighs in the shower, sing to my CDs in the car, or do your own warm-ups on the way to work. Set your voice in an excellent environment to be used for either singing or speaking. Do your breathing exercises, strengthen you abdominals (core), and let your body, not just your throat, support your sound. Never sit on your sound when you speak. Speak with space and energy.